MetaSport Training’s new Super Saturday sessions have become a popular feature on the MetaSport Training calendar. It’s a monthly opportunity to have a swim-bike-run hit-out against fellow club members in a competitive yet friendly environment. 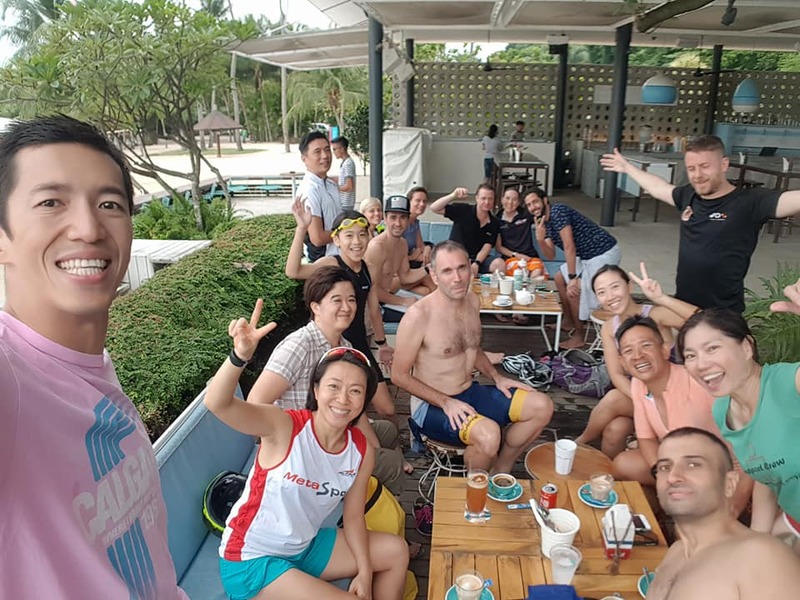 Our year ending “Big Showdown” was held on 9 December with two short dynamic races at Tanjong Beach, Sentosa, under the guidance of our MetaSport coaches. The race distances were adjusted to suit the abilities of each athlete (and to handicap our faster members), which meant a thrilling race finish as the athletes all converged towards the finish line. The conducive venue and safe swim, bike and run courses guaranteed a great morning of fun was had by all. 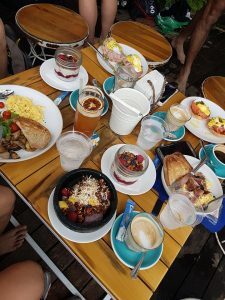 The post-race banter and reflection occurred during brunch at the Tanjong Beach Club with family joining in, and coffee flowing. If you would like to join MetaSport’s regular training sessions, please join us for a free two-week trial, visit our website .